Yes. It’s already happening. This dress is getting remixed. Told you I loved it. 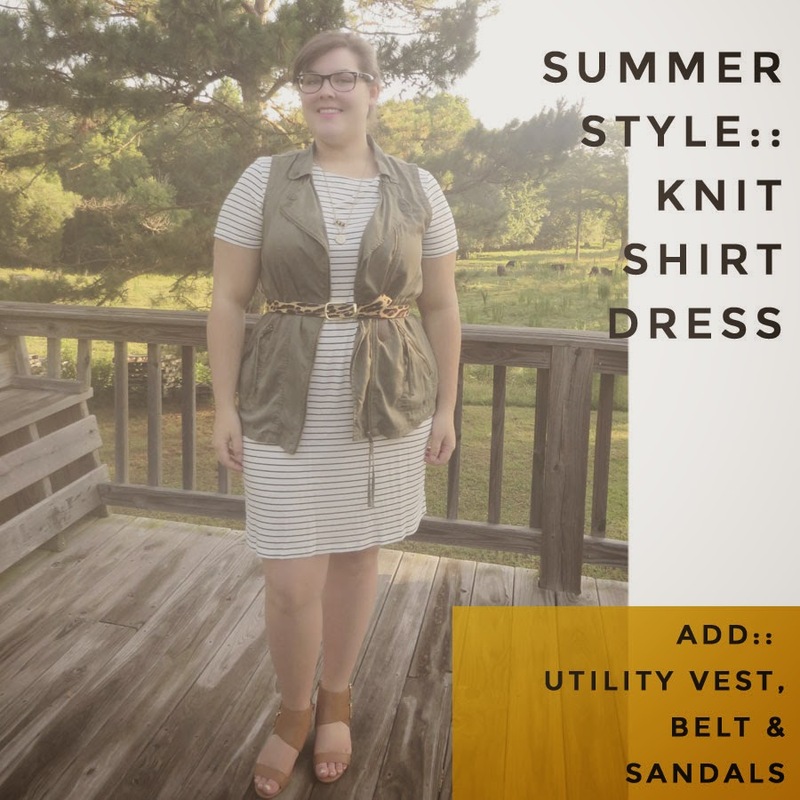 This dress is SO easy and perfect for summer. I know there were a few commenters that said it wasn’t working quite right for them. On the hanger and unaccessorized, I gotta say, I probably would’ve passed on it. I don’t always see the potential in a piece on the hanger, but this is one that I did. 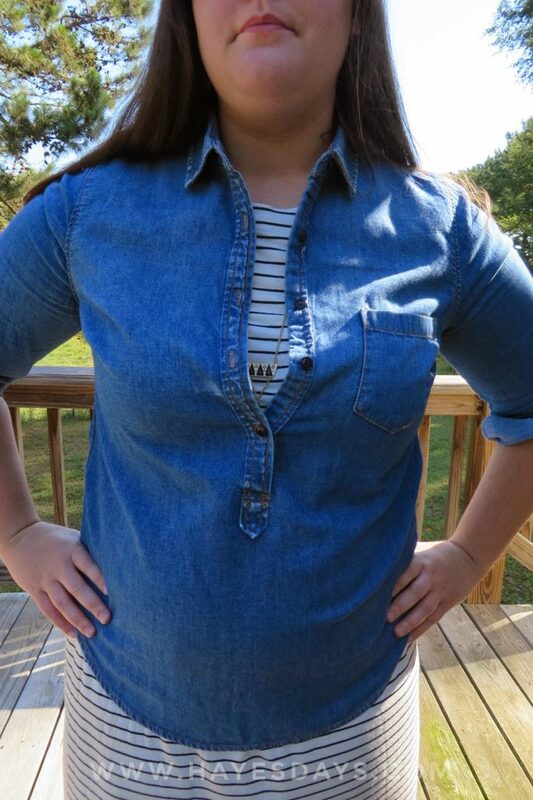 The popover I’m wearing was also a piece that you had to see the potential in (ie- the denim mom shirt convo). 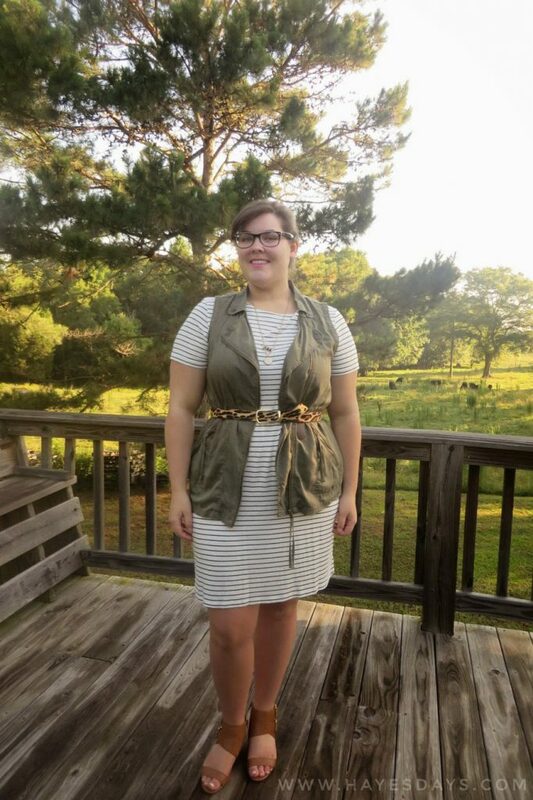 I went a completely different direction with colors in this outfit from the last time I wore it. Even though the stripes are black on this dress, I think it still works. I was so thrilled that this looked as good on as I thought it would in my head. That only works out 1 out of 5 times. I am in love with this. It seems like the perfect outfit to take to the beach or traveling. 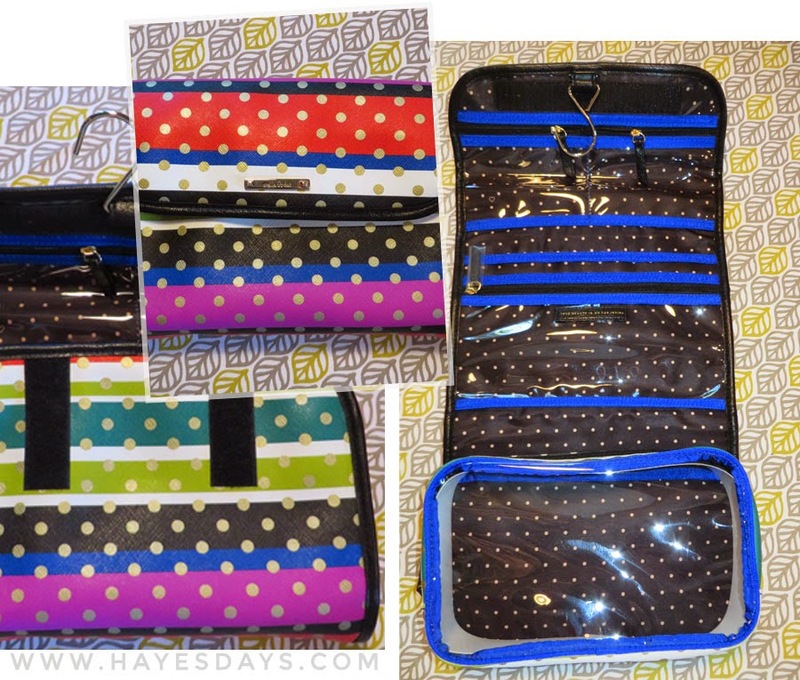 I’ve seen so many great “remix your suitcase” posts around recently, like this one. The idea of only taking 10 pieces with you on vacation kinda blows my mind, but the way it’s presented, it seems so easy. Though it’s been about 5 years since my last International trip, I do remember how hard it was to pack for it. Even domestic vacations give me anxiety trying to pack for them. Having a plan like this, taking pieces you already know how to pair is perfect. You can’t beat comfort for summer travels. Have you tried a knit t-shirt dress for summer yet? How else do you think I should mix this dress? It’s that time again! 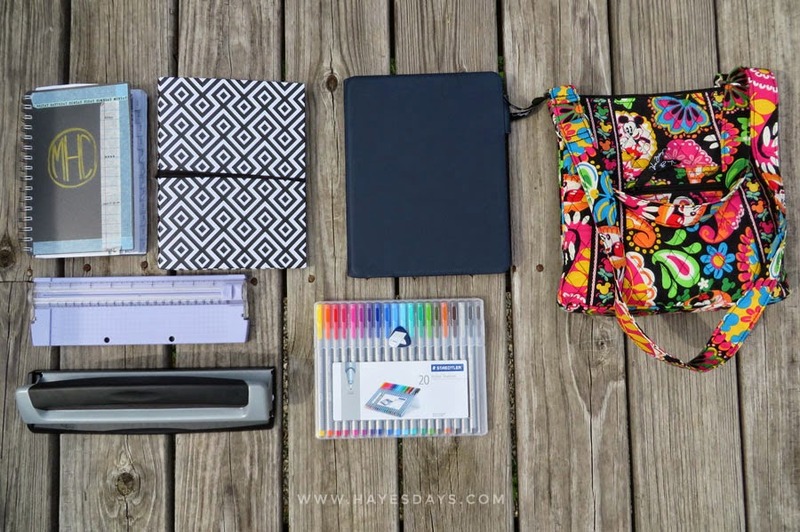 I’m linking up with Fran for her monthly budgeting bloggers post. I had really wanted to curb my spending, putting a $50 cap on my month. Well… that didn’t happen, as you can see. I had a good resale month, received a raise, and J.Crew started their half off sale early. All of those things really threw me off track. So even though I was going to give myself $50 in slack this month and would technically be under my budget, I went terribly over last month and really did not want to have to use my $50 in grace money. I was definitely not planning on J.Crew starting their half off sale an ENTIRE MONTH early. If you follow the company business-wise, you’re probably aware of this article here and the discussion going on at the “mothership” here. If not, I highly suggest you read it. There’s a reason the half off sale started early this year and hasn’t gone away. There was only one item that went hideously wrong. It was these. 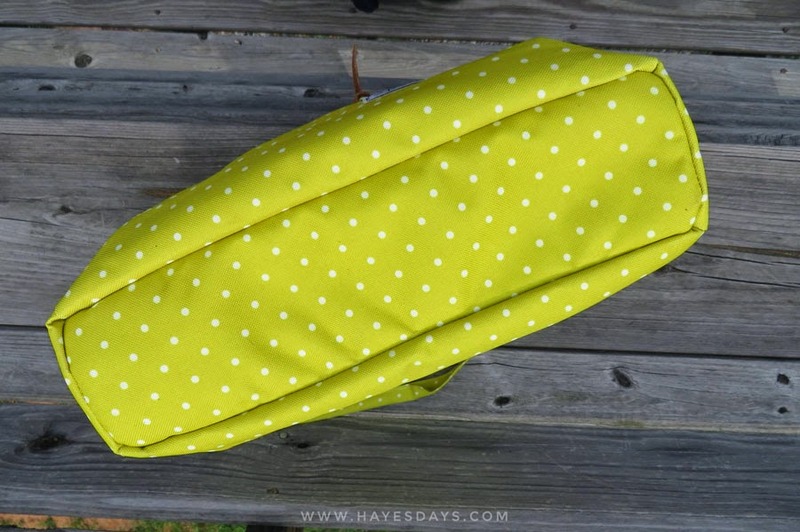 Just say no to 3 inch inseams– or for me at least. 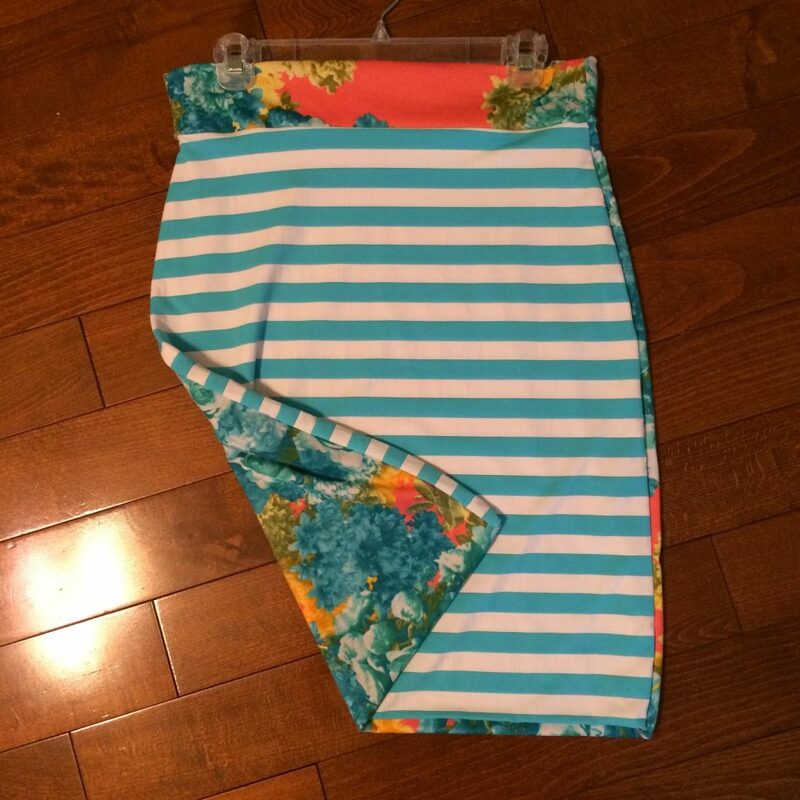 I want to take a quick minute to talk about Shelley Bee Originals and Handmade Escapade. A big thanks goes to Nicole for introducing me to these two shops. These are both fabulous etsy shops that I own several skirts from each. 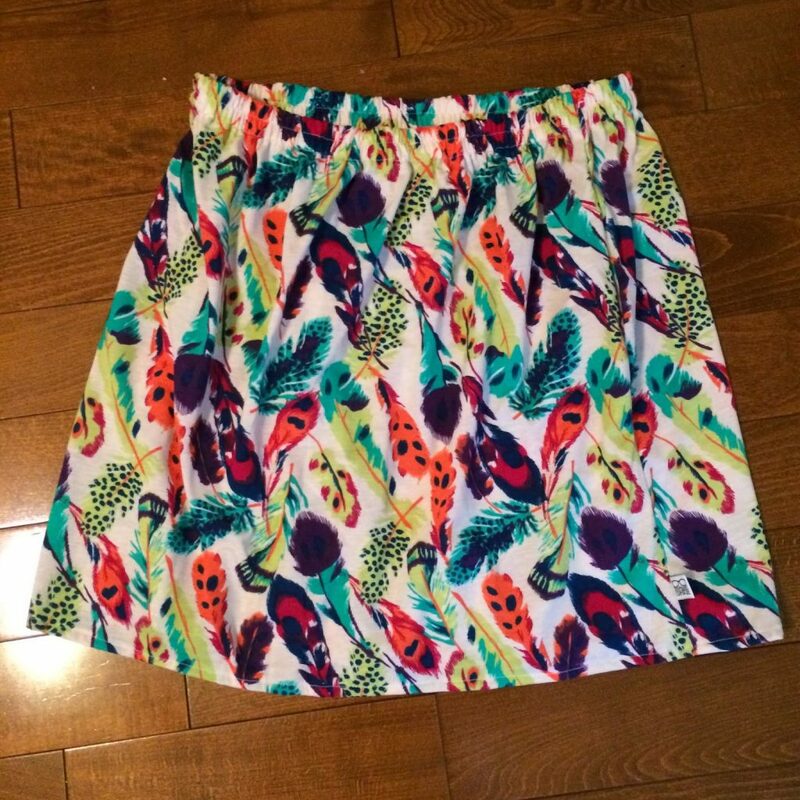 I’ve been enjoying skirts even more so this summer because of these two shops producing some cute and comfortable designs with lots of color and fun patterns. 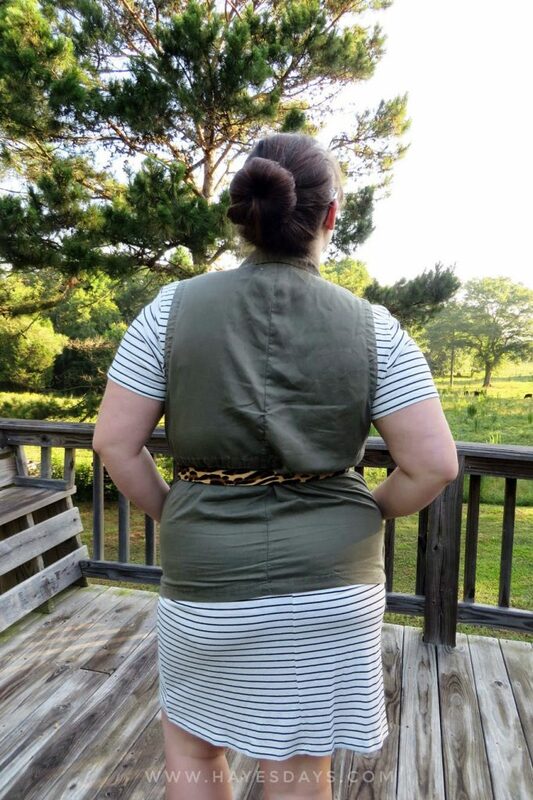 If you’re a skirt girl like me in the summer, or year round for that matter, you need to check out these two ladies fabulous designs. Both of them are as lovely inside as they are outside! Make sure you’re following them both via IG as well for flash sales (Handmade & Shelley Bee). Despite miserably failing at spending nothing this month. I’m going to try again and take it week by week. I want to start linking up with weekly wishes at the nectar collective and take much littler steps towards the big change goals. As far as purchases go, I don’t consider this month to be a failure at all. I saved A GRAND. Y’all that’s crazy. I can’t even fathom it. Checking in with my wardrobe holes, I actually filled “two.” Technically I filled the leopard calf hair belt one last month with that GAP outlet belt, but it has already started falling apart sadly. I was excited to find the J.Crew one in the store, on sale, last one, and my size. It was impossible to leave it. The construction is amazing on it. I don’t like to pay retail ever, and I didn’t, but this is one item I could see the retail value in. I’ve already worn it twice. Also from the list, I wanted a plain chambray popover. The one I purchased is more along the lines of a denim shirt, but that makes it just different enough than my current chambrays. One of the J.Crew retail associates and I were chatting about how surprised we were by the piece. She said that it looked like a mom shirt on the hanger (it really did) but how comfortable, versatile, and not-mom-like it is on. I’ve already worn it three times since adding it to my closet last week. I also added another blazer after the schoolboy success of last month. 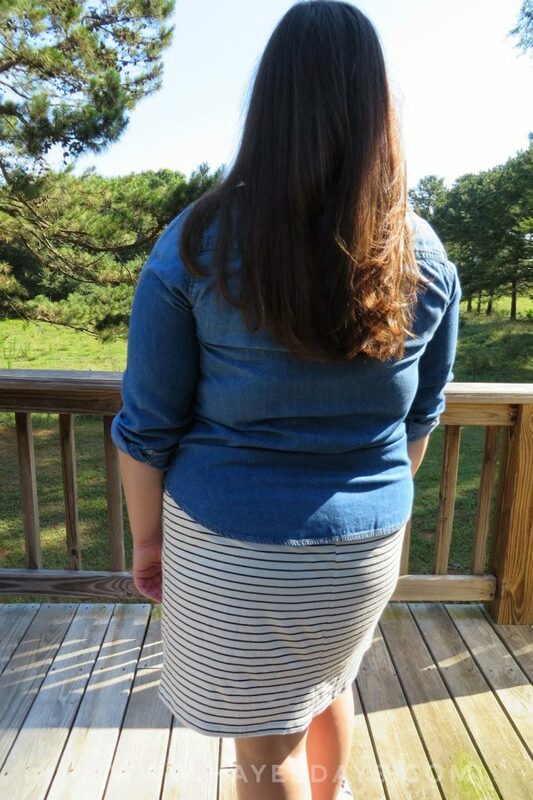 Several skirts and more basics made their way into my closet again this month too. I’m very excited about everything and can’t wait to be showing more of it next month. My closet definitely has a cohesive look and feel to it now. My style may be varied, but the colors are consistent so every item is easily remixed now versus before. That is one of the most exciting developments of being a part of budgeting bloggers. Here’s my favs for this week, along with Katy and Nicole, of course. Want to share too? Link up with us using the inlink below! Even though this was Nicole’s favorite last week, I’m going to get a little more specific with my Stella & Dot favorites. In fact so specific I’m sharing the actual items I got in the mail from my very first trunk show last Friday. I went a little crazy with the crazy stripe stuff. 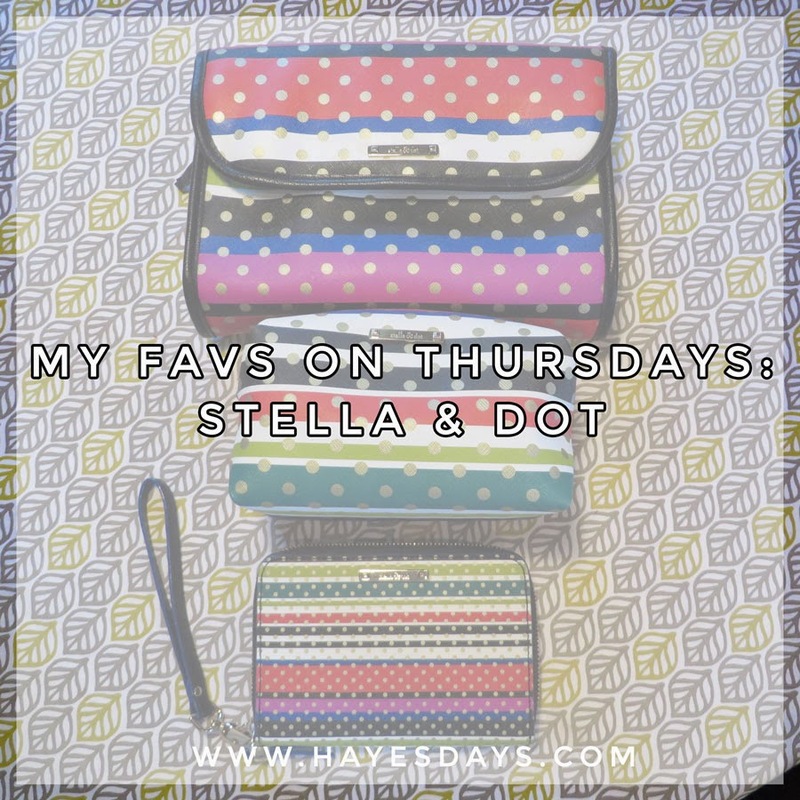 Though Stella & Dot is known for their jewelry, which is very pretty by the way, I needed some more functional travel pieces and daily pieces. 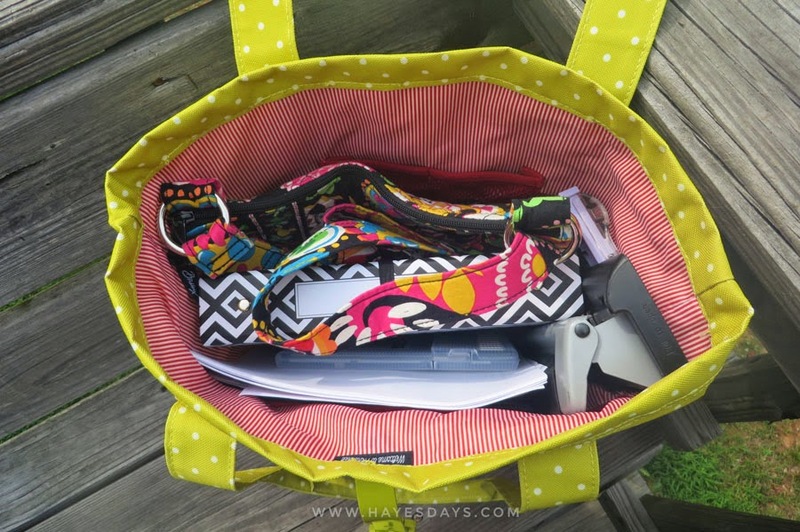 I have several great duffle bags, but not many organizers. After seeing the “Hang On” in person, I decided it was perfect. The Hang On has a metal hanger on the top and it folds in three times and velcros together. There are two small half pockets in the top compartment, one long one in the middle, and a deep clear pocket on the bottom. My favorite part of this travel roll up? There are NO pockets where it bends. Also there are ample inches for it to still close neatly even if it’s full. Most hang up organizers aren’t thought out this well. Trust me, I have been looking for a good one for years. I also decided to try out one of their poufs for extra storage. The lining is great. Everything is wipe off type fabric. Also there are these cute little sayings sewn or stamped into their products. The pouf was not as big as I was expecting, but they run a buy two get one half off deal on the poufs, so I’m thinking they encourage you to purchase more so that you have more room. I like how wide it is. It’s long enough for make up brushes to lay long ways and not have to be crooked. It’s going to fit my stray items in my purse well. This was the item I was most excited about! So much more room for the things! The only thing I was a little disappointed about is that there isn’t a clear slot for your ID. Otherwise, this is the perfect wallet. Theres a pocket inside that fits my iPhone perfectly and two very large pockets. 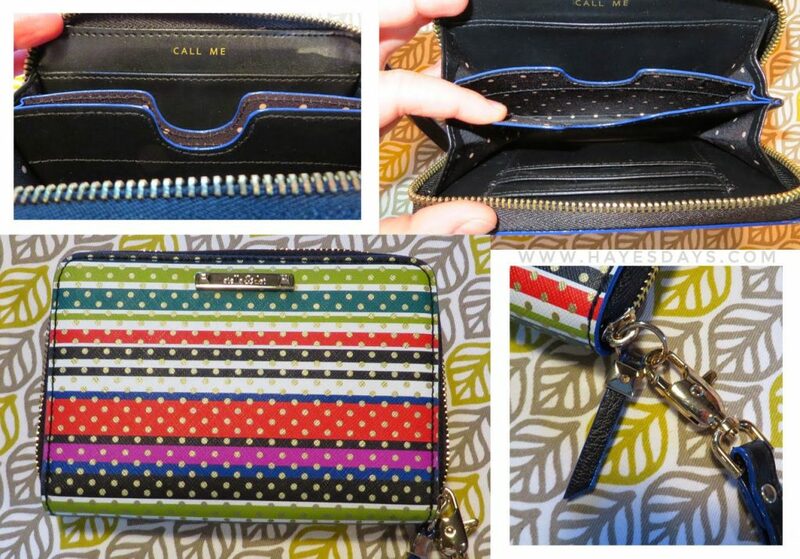 The wrist strap is detachable, so you can just carry the wallet and use it as a clutch or use it without in a larger purse. Again, I was impressed with the materials used for this piece. I’ll be updating you along the way with how all these items wear, but I’m expecting some great results! 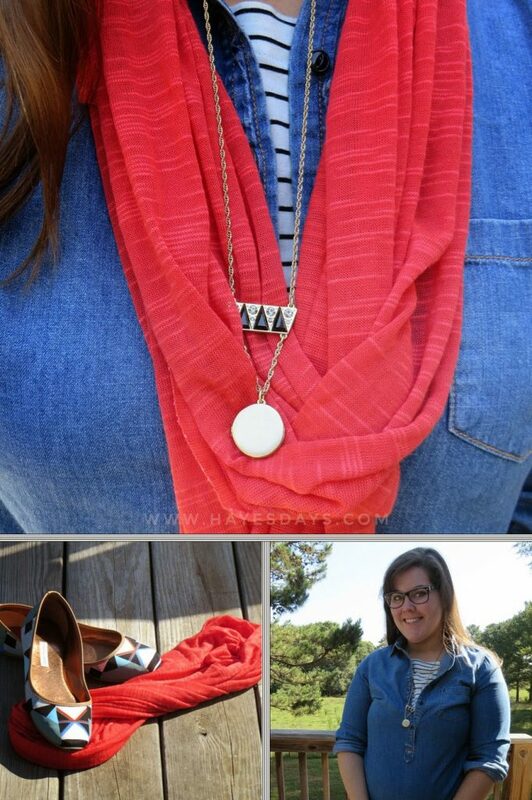 What do you think about Stella & Dot? 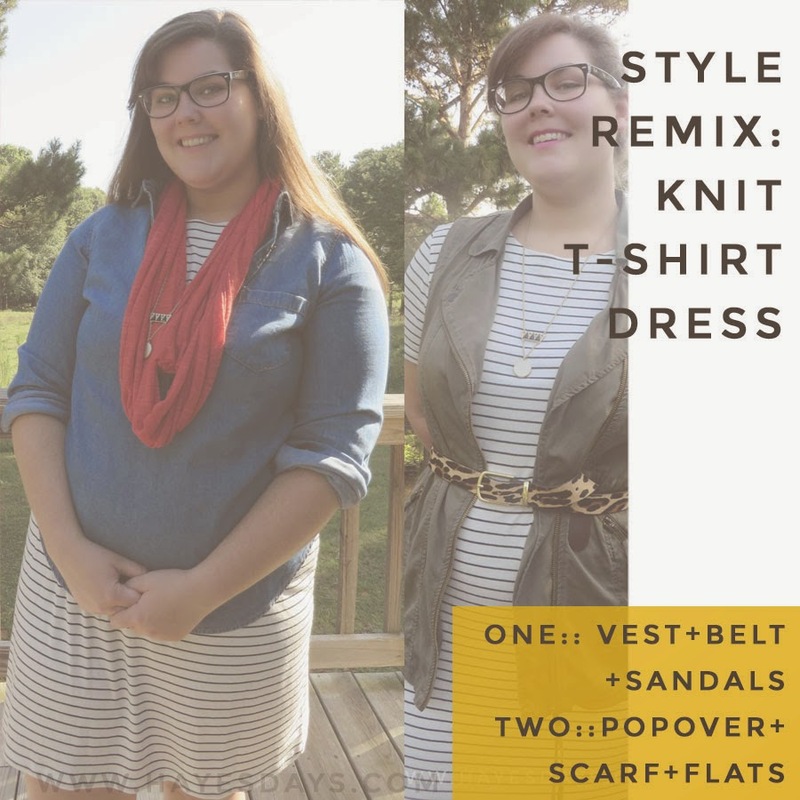 If you’re looking to order, check out Nicole’s trunk show here and enter her giveaway for a gift bag by clicking here. Make sure you link up with us and share your favorites today! 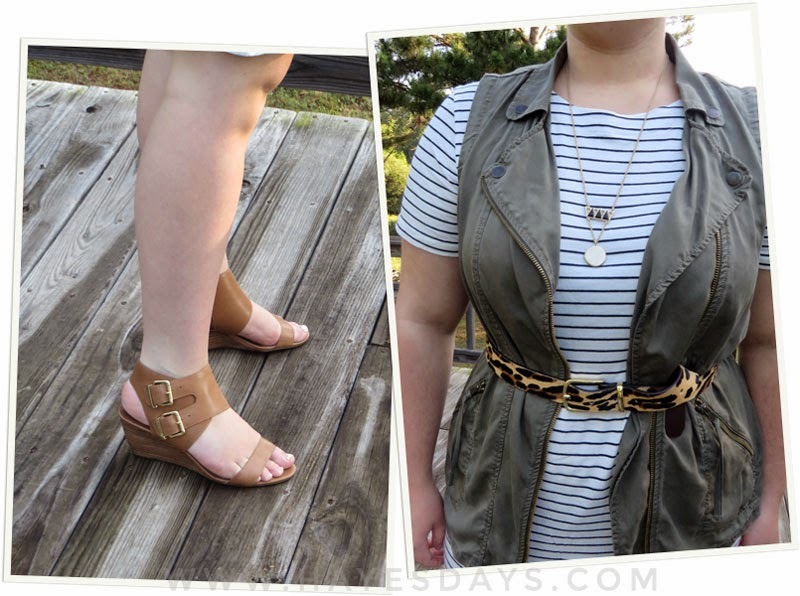 Due to my failure to successfully plan this weeks blog posts, you’re getting two style posts back to back. This one is coming late and got put together fairly quickly too. It’s actually what I’m wearing today. That never happens. 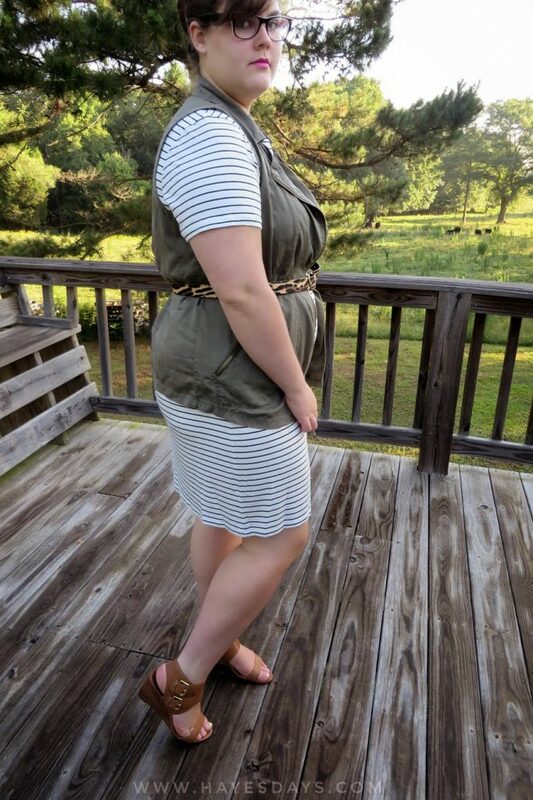 I got a raise (yay) and went to Target and got this knit t-shirt dress after seeing it on Kendi and now it’s sold out online (boo). Three were purchased in the hour I was in the store. $20 for a cotton knit dress that’s so comfortable I could live in it even when it’s 90°? Small price to pay. It has a short zip in the back at the neckline. It’s an exposed zipper, which I think gives the dress some character since it is so plain. I took one size up from my normal size to get it to a length I liked and that would be office appropriate. This dress is going to get remixed a million times, so get ready. There are so many things I want to say in this post, but I’m pretty sure my thoughts aren’t going to be organized to say much. I’ve been conducting interviews at my office for two weeks. Two weeks of trying to figure out who someone is in 30 minutes or less makes your mind mushy. First week, I found a person I loved, offered her a job, and she didn’t take it. That was hard. Finally interviewed someone today that I liked. Hopefully she will take the job. Also, I tried the bun form again with my hair straightened and I like how it works better than when my hair air dries or if my hair is damp. Great loose curls come out when my hair is damp, but the form doesn’t stay in a circle. It’s been great to do something nice that I have an alternative for my hair. I’m hoping to get better at braiding my hair too. What do you do with your long hair during the summer? Happy Monday all! I hate to start out a Monday talking about Friday, but that’s what I’m going to do. 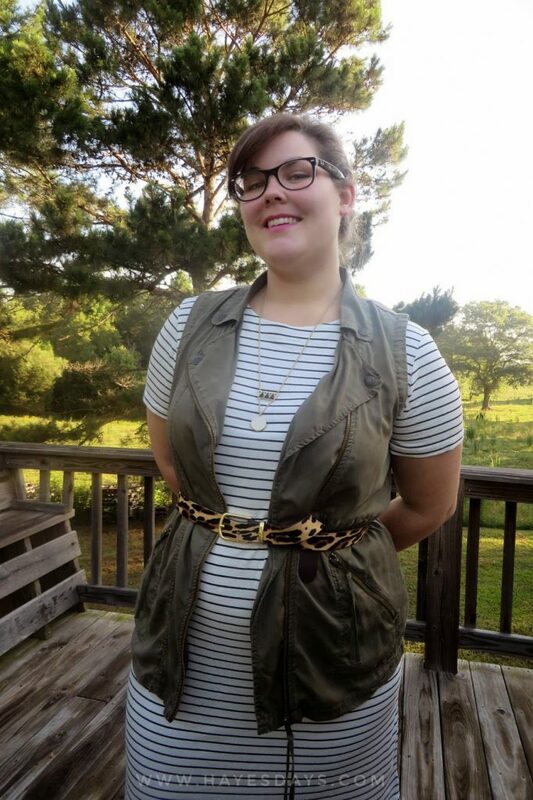 This was an outfit I wore for casual Friday two weeks ago and have been saving it to share. Trust me this was hard. 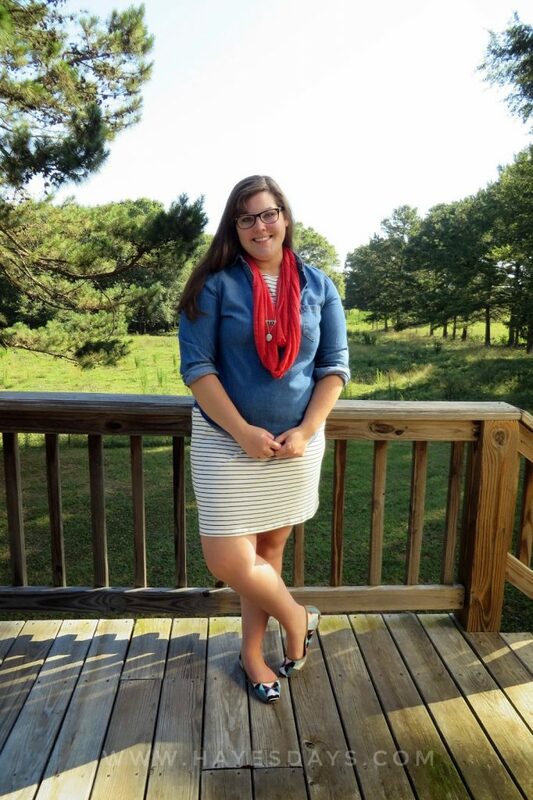 I felt so confident in this outfit I wanted to share it immediately, but good things come to those who wait, right? First, I want to say a piece about these pants. I bought these from the Gap last year and it took me quite a bit of convincing myself it’s OK to wear such a large floral on my hips and thighs. It goes against everything I’ve ever been taught. The bigger the print, the bigger you look. 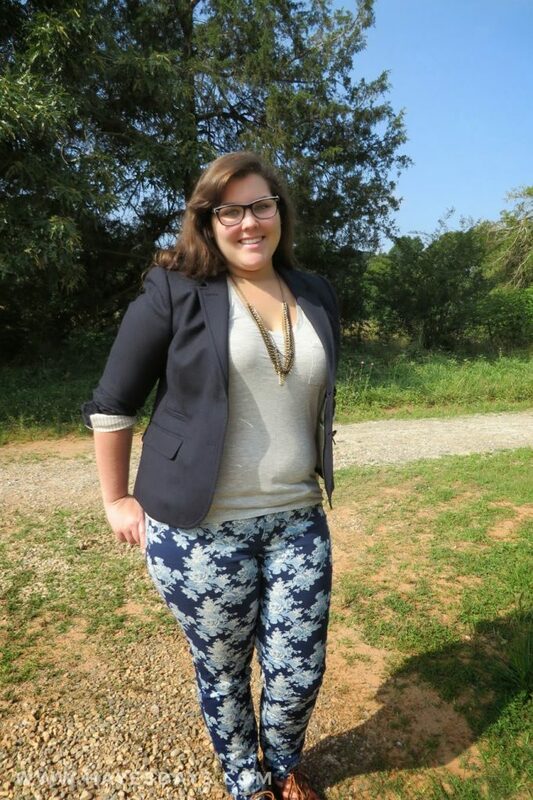 With these pants, it takes the right top to not make my hips look wider than they are. 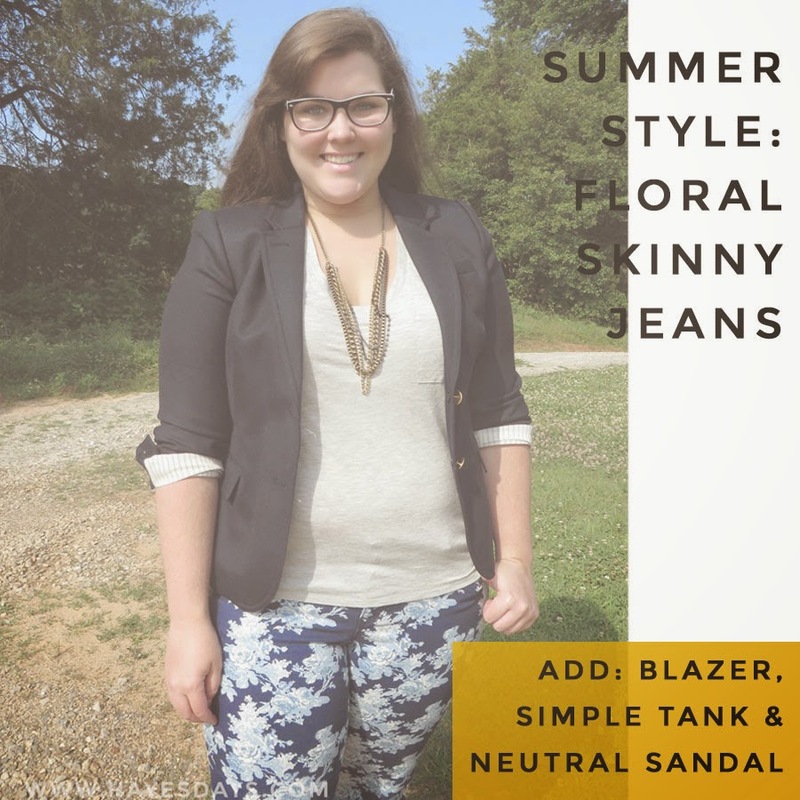 After finding the right combination last year, these went on heavy rotation because they’re just so darn comfortable! They’re the Gap always skinny jean. I always size up one for fit, but I think they’re changed the cut of this style this year because these still fit, but sadly their newer options don’t fit the same. 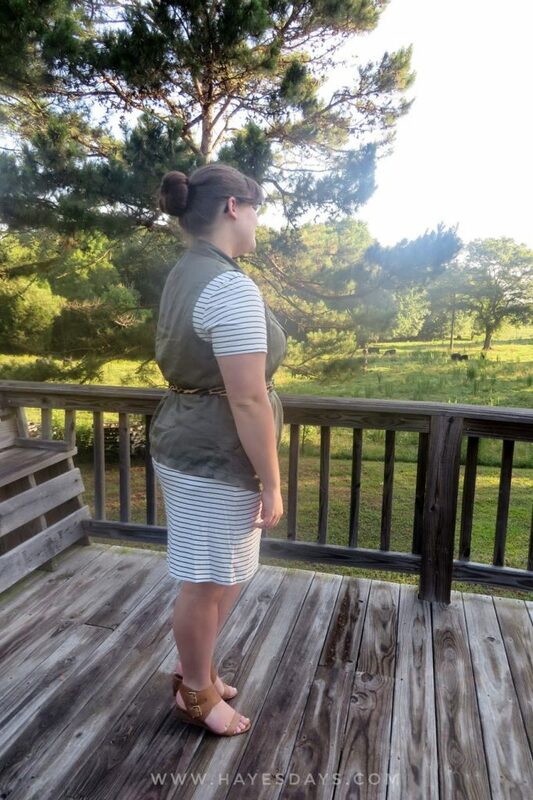 With this outfit, the blazer and tank hug just enough to look like they go with the jeans, but aren’t skin tight, which I think helps balance out how skinny the jeans are. 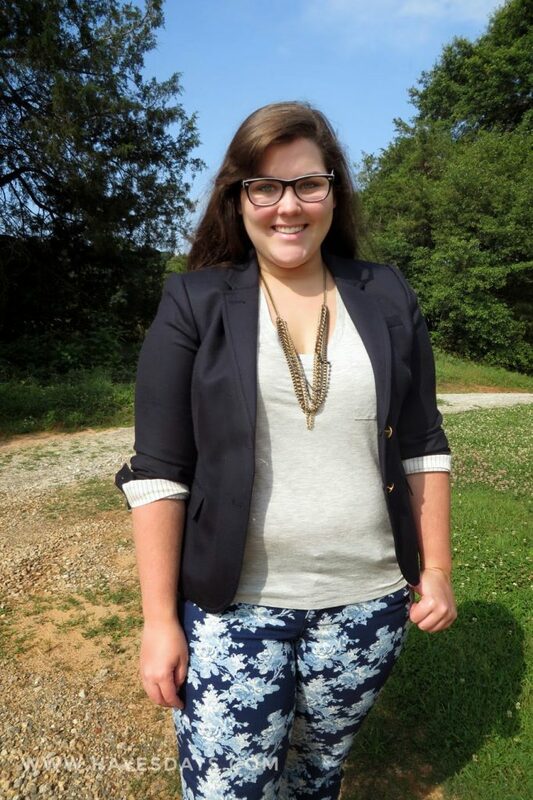 And I can’t post these without mentioning this blazer. Y’all it’s the classic schoolboy blazer. Never has a structured jacket fit me so well. It may not look like it in the pictures, but the arms aren’t too tight. 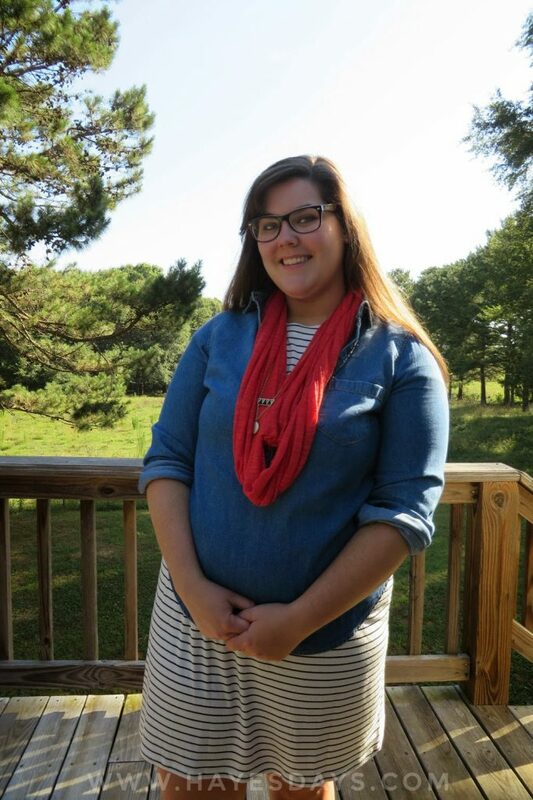 I can scrunch them up like I did in these photos are look super professional with them rolled down and buttoned. Also, it buttons. That’s not something that happens for me with jackets off the rack. I’m not wild about the fact that they’re gold buttons, but it does give the blazer a dressier and more classic look, which I think is important when you’re purchasing a staple piece like a blazer. Navy is an interview worthy color, but there’s no way this blazer would look as professional with say, plastic buttons or something along those lines. If you’re in the market for a good blazer, now is a good time to pick this one up from J.Crew if it pops back. You can also get it’s “updated” (it’s all relative) counterpart for a decent deal as well. Finally, my remix piece of the week: these sandals. They were met with much acclaim last Monday (thanks y’all!) and these two outfits are not the only times I’ve worn these lace up sandals. They are so comfortable. The congac color is perfect for pairing with navy, black, and brown– not all at the same time, but seperately, of course. My feet turn in and I need lots of support. Very few sandals offer that support, which is why I snagged these after I tried them on. There’s plenty of potential in these sandals. You can expect to see them again I’m sure. 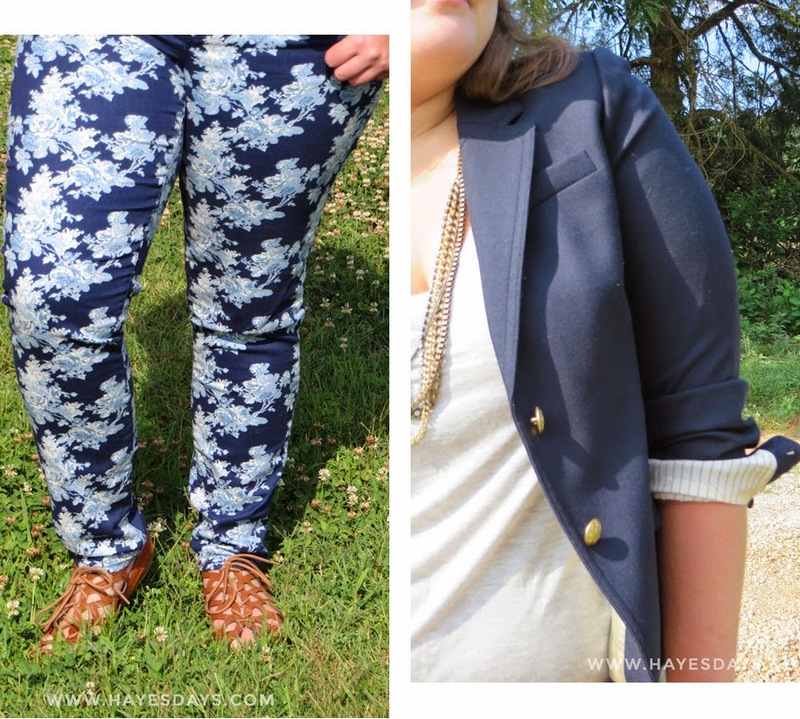 Do you own a pair of floral jeans? How are you styling them for summer? Do tell! Also, I’ve changed the format of my style posts. This week I’m leaving out the polyvore set for this outfit. Last week I felt like there was just too much going on. What do you think? Let me know! 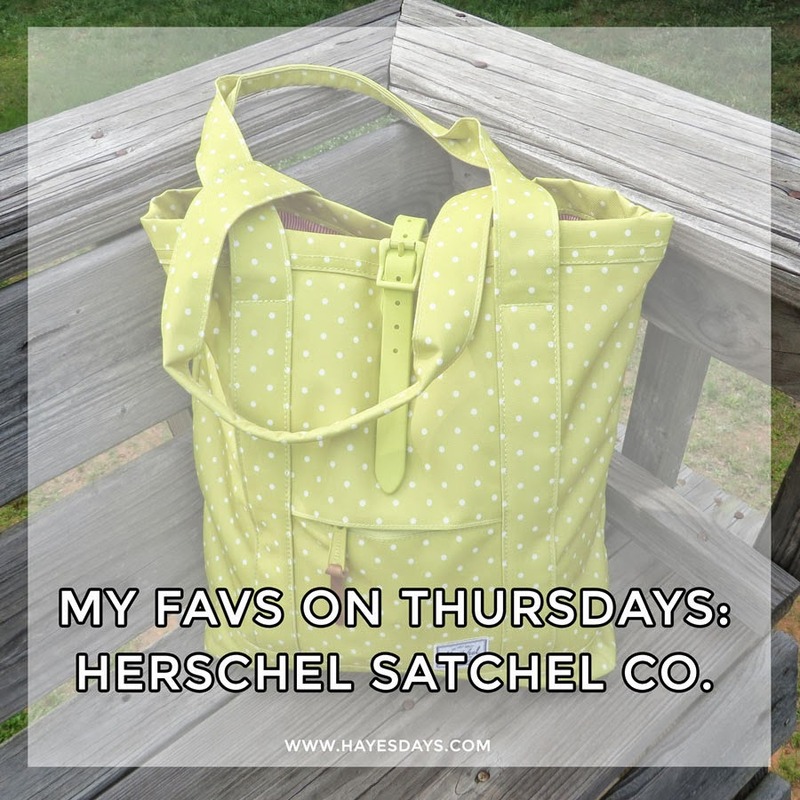 My Favs on Thursdays: Herschel Supply Co.
Here’s my favs for this week, along with Katy and Nicole, of course. Want to share too? Link to the three of us in your post and make sure to comment on our posts so we can check out your favorites! Yes, I’m going to do it. I’m going to talk about Herschel Supply Co. again. 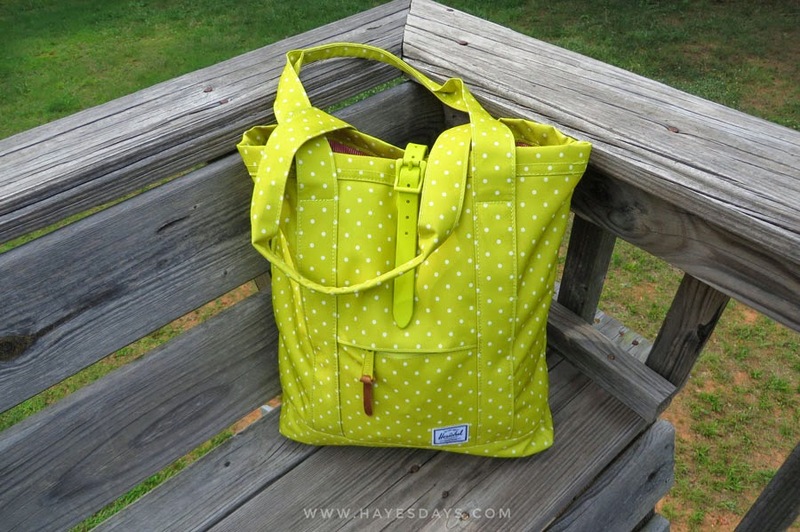 After using my “Market” tote at the beach and over the past week to keep my entire life in one bag and (slightly) organized, I wanted to share what makes this tote my new favorite. This post is going to be over loaded with pictures, because I think they prove the multitude of function that this bag has more than I could accurately describe. The outer canvas is water resistant and coffee resistant (that was a home test). The lining is red and white stripes. There are two mesh pockets about the size of an iPhone and one long pocket on the other side made out of the same lining. Every single edge is banded, so it won’t shred all over the place with use. The pull tab on the outer pocket zipper is leather. 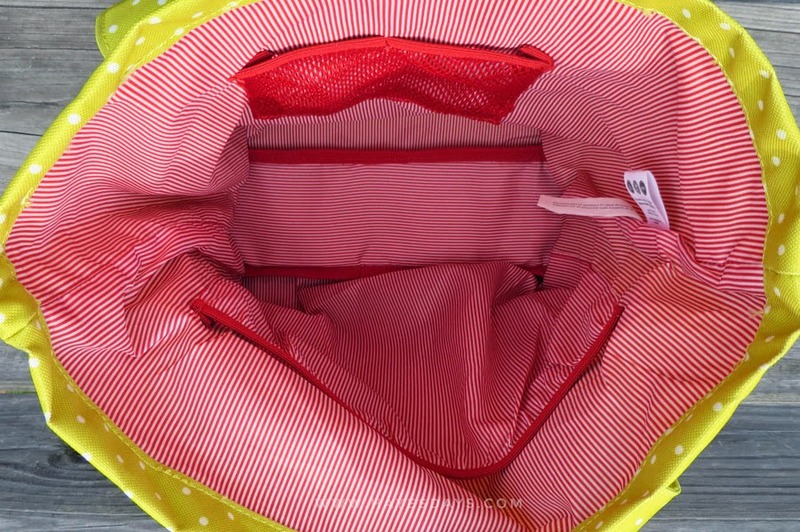 The strap closure on the top is adjustable so you can stuff the tote as full as you want and the magnetic snap will still reach. I don’t always carry around a paper cutter and a three hole punch. Those just happened to be the random items of the week since I was working on putting together a blog planner for myself. I do always carry around about 20 pens though. You never know when you’ll need a certain color. And yes, that is a bag inside of a bigger bag. Shows how much room this tote has! 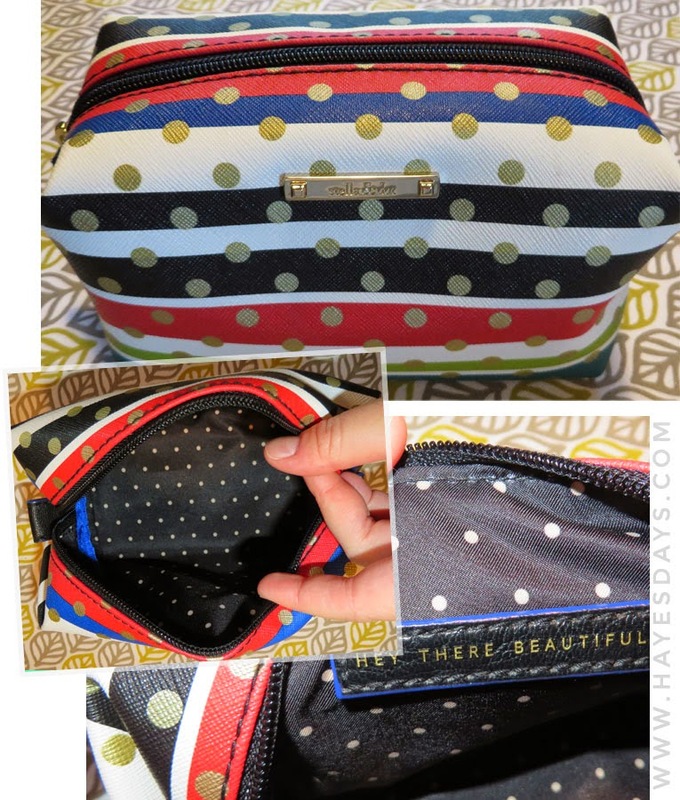 It’s a Vera Bradley hipster (Disney Vera), so it’s not a small purse either. A hole punch doesn’t help me in the grocery store, so it worked well that I can pull out my necessities in a separate bag for a quick run. 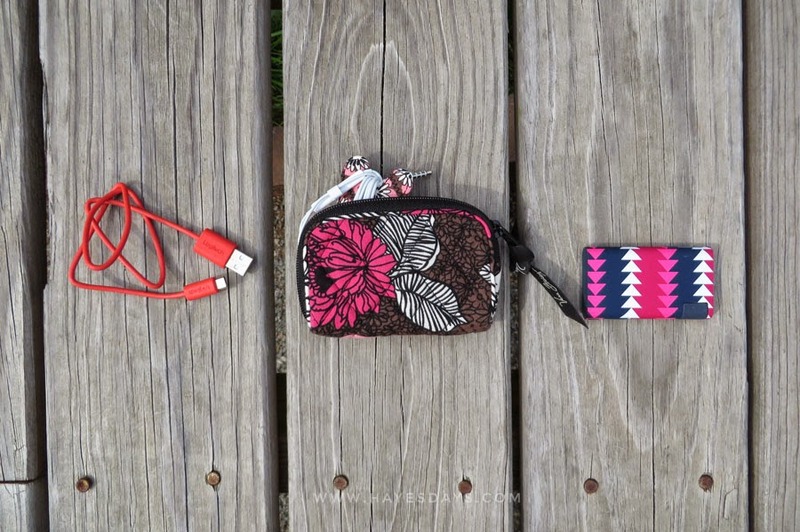 The accessories in the picture on the right were in the small front zip pocket. The pocket is deeper than you think, but it can be a little tedious to get things in and out. That’s my only dislike about this tote, and it’s definitely no deal breaker. 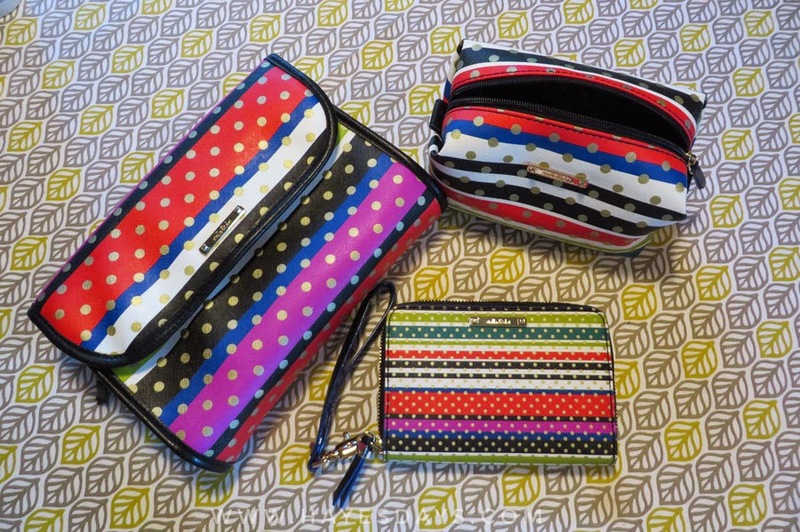 The details on these bags are adorable and add more character to a tote loaded with multiple uses. Should you need something bigger, they make a “Market XL” tote, though I can’t imagine what else you might need to carry? Maybe a blender? Five pairs of shoes? Who knows. What I do know is that I can’t wait to try out their other products! 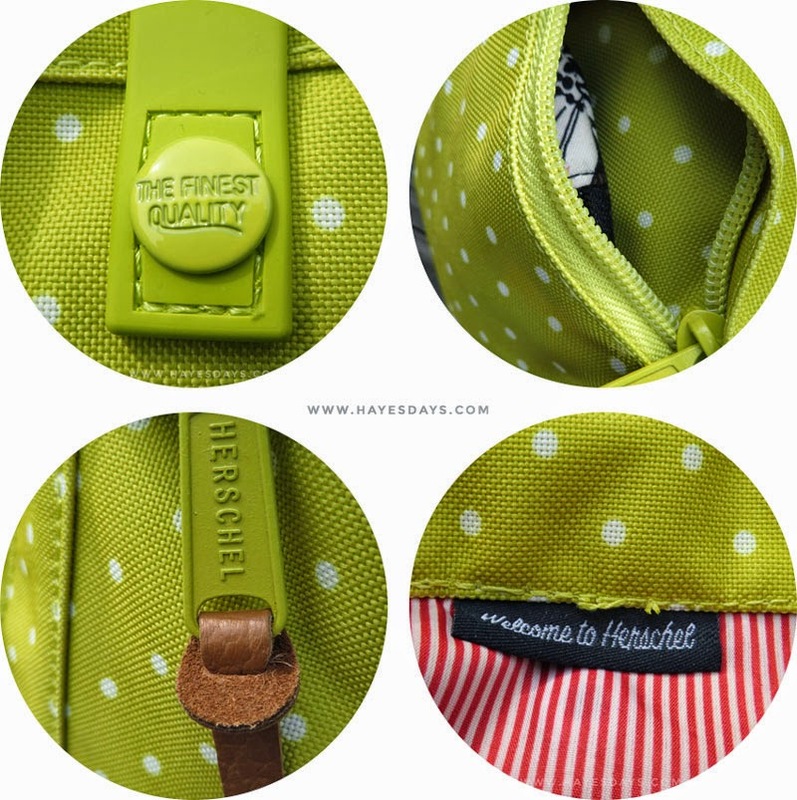 Do you own any Herschel goods?